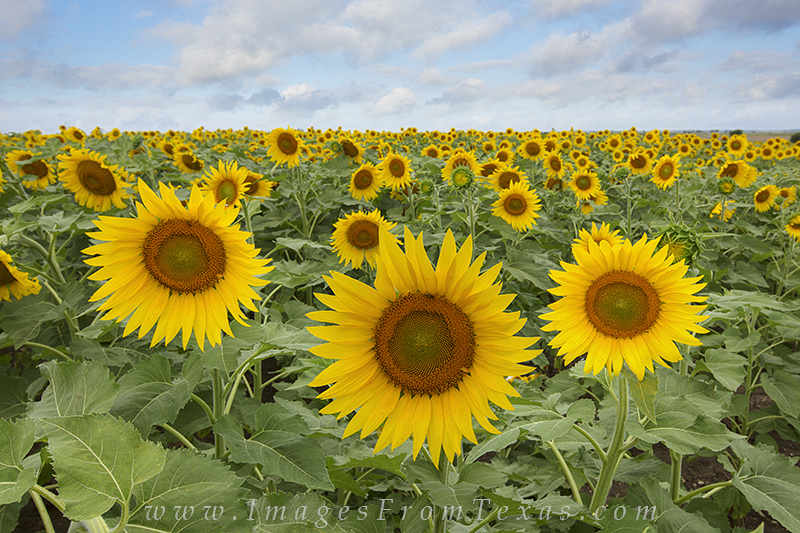 As soft clouds drift by, this field of Texas sunflowers enjoys a summer afternoon. Landscapes such as this are becoming more common in the Lone Star State as farmers raise and harvest these plants for their oil and seed. Photo © copyright by Rob Greebon.